Looking to upsell some items? 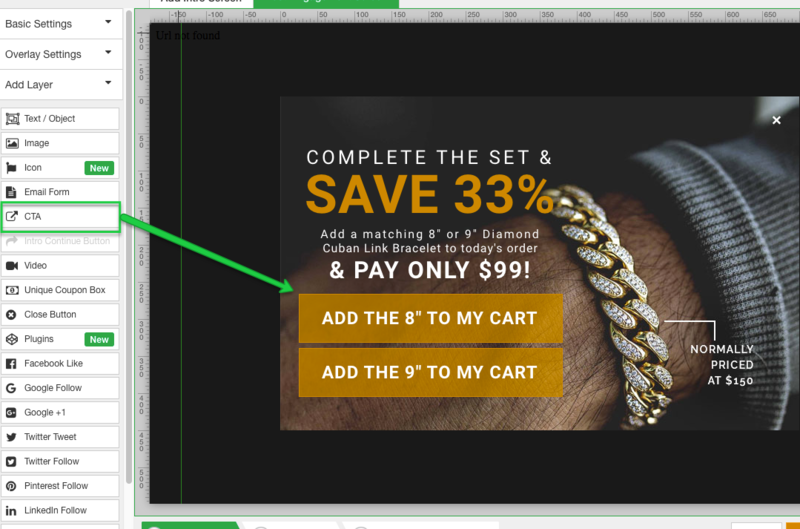 With a little custom code we've created you can now auto add an item to your cart page from a CTA click. SHOPIFY CUSTOMERS: If you installed Justuno onto your Shopify store BEFORE 6/25/2017 please uninstall the application and reinstall it to activate these features. Step 1: Head to your promotions section and hit New Promotion then Custom Promotion (You must enter a promotion name and then click Get Started). Step 2: Select device type then display type, then choose unlocked (Website Messaging). 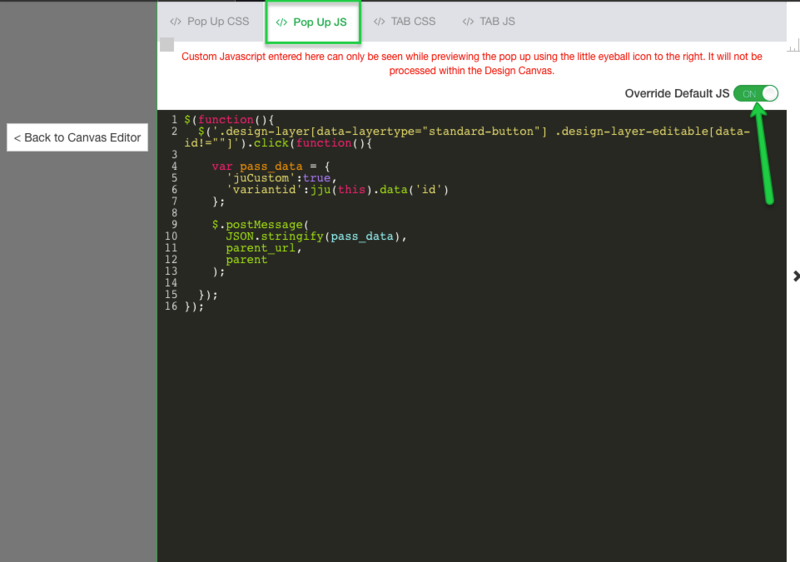 Step 5: Paste in the code below in the tab js section and make sure both override default JS toggles are on. Step 7: Paste in the variant ID in the Data ID option of the CTA. 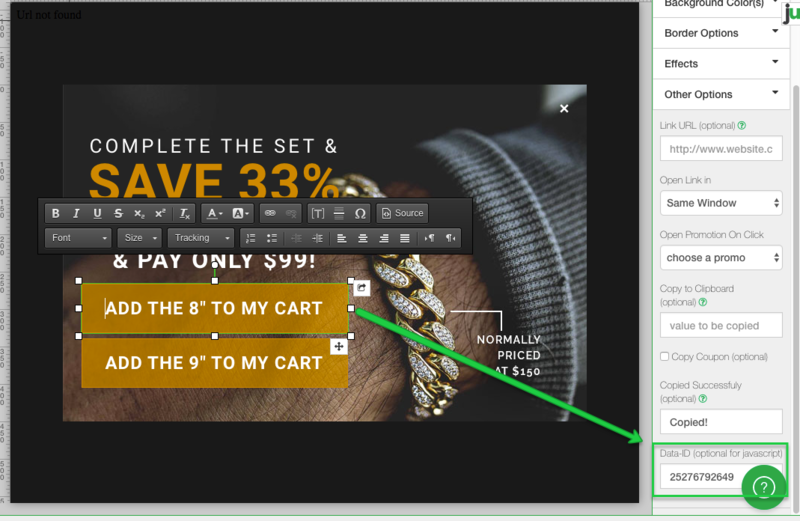 Now you have a CTA that will Auto add an item to your cart!